I am a PhD student in the arithmetic geometry research group at the Mathematical Institute of FU Berlin, supervised by Hélène Esnault. I'm funded by the Hans-Boeckler Stiftung. I am interested in the topology of conjugate Berkovich spaces. Here you can check my Exposé. Before I did my master on the Grothendieck-Ogg-Shafarevich formula for l-adic sheaves. My academic CV (pdf, TeX). (Master thesis) The Grothendieck-Ogg-Shafarevich formula for l-adic sheaves (English. Pdf, TeX). (with V. Arnaiz and A. González) Sobre el problema de Flavio Josefo (Spanish. Pdf, TeX). Ponencias de jóvenes investigadores (I) (Colección Cuadernos del I.N.I.C.E.. Investigación juvenil; n. 96). 2010. Galois cohomology and logarithmic geometry. p-adic Hodge Theory, May 15, 2017. The de Rham-Witt complex. Crystalline Cohomology, January 16, 2017. Skeleton. Berkovich spaces, birational geometry and motivic zeta functions, December 1, 2016. Periods and the conjectures of Grothendieck and of Kontsevich-Zagier (Notes, TeX). Motivic Galois Groups and Periods, June 23, 2016. The Riemann-Hilbert correspondence (Notes -by Wouter). D-Modules, May 23, 2016.
l-adic sheaves and the Grothendieck-Ogg-Shafarevich formula (Notes of first, second, third and fourth lecture). Mini course (8 hours), FU Berlin, April 14-15, 2016. Crystalline cohomology (Notes, TeX). Supersingular K3 Surfaces, FU Berlin, October 22, 2015. Chow ring (Notes). Intersection theory, FU Berlin, October 12, 2015. Cohomology of the multiplicative group scheme on a curve (Notes). Étale Cohomology, FU Berlin, June 29, 2015. Category of sheaves on the étale site (Notes). Étale Cohomology, FU Berlin, June 29, 2015. Introduction to stacks (Notes, TeX). Rational Sections and Serre's Conjecture, FU Berlin, April 23, 2015. Homotopy, contractibility and deformation retractions (Notes). Algebraic Topology II, FU Berlin, February 4, 2015. Theorem of the cube (Notes, TeX). Abelian varieties, FU Berlin, May 27, 2014. Ruled quartic surfaces (Notes, TeX). Algebraic Geometry Seminar, FU Berlin, January 8, 2014. Arithmetic Geometry guest seminar, FU Berlin, recurring. Berkovich Spaces: 30 years,	Paris, July 9-13, 2018. Period mappings: from complex to p-adic, Tatihou Island, September 24-29, 2017. Motives for periods (Notes), FU Berlin, August 28 - September 1, 2017. Models of curves and abelian varieties, FU Berlin, Summer Semester 2017.
p-adic Hodge Theory, FU Berlin, Summer Semester 2017. Langlands correspondence for function fields, FU Berlin, Summer Semester 2017.
p-adic Analytic Geometry and Differential Equations, Luminy, March 27 - 31, 2017. Berkovich spaces, singularity theory and birational geometry, FU Berlin, Winter Semester 2016-17. Crystalline Cohomology, FU Berlin, Winter Semester 2016-17. Seminar of the HBS, Hattingen, January 30 - February 3, 2017. Motivic Galois Groups, FU Berlin, Summer Semester 2016. D-modules, FU Berlin, Summer Semester 2016. Berkovich Spaces, HU Berlin, Summer Semester 2016. Algebraization theorems, From GAGA to foliations over number fields (Notes), Tatihou island (Normandy), July 4-8, 2016. Day of Algebraic and Arithmetic Geometry, Berlin-Brandenburgische Akademie der Wissenschaften, May 20, 2016. Motivic Homotopy Theory, FU Berlin, March 7, 2016. Supersingular K3 Surfaces, FU Berlin, Winter Semester 2015-16. Intersection Theory, FU Berlin, Winter Semester 2015-16. Perfectoid Spaces, Bressanone, August 31-September 4, 2015. Photo. AMS Summer Institute in Algebraic Geometry, Salt Lake City, July 12-August 1, 2015. Étale Cohomology, FU Berlin, Summer Semester 2015. Rational Sections and Serre's Conjecture, FU Berlin, Summer Semester 2015. Day of Arithmetic and Algebraic Geometry, Berlin, March 12, 2015. 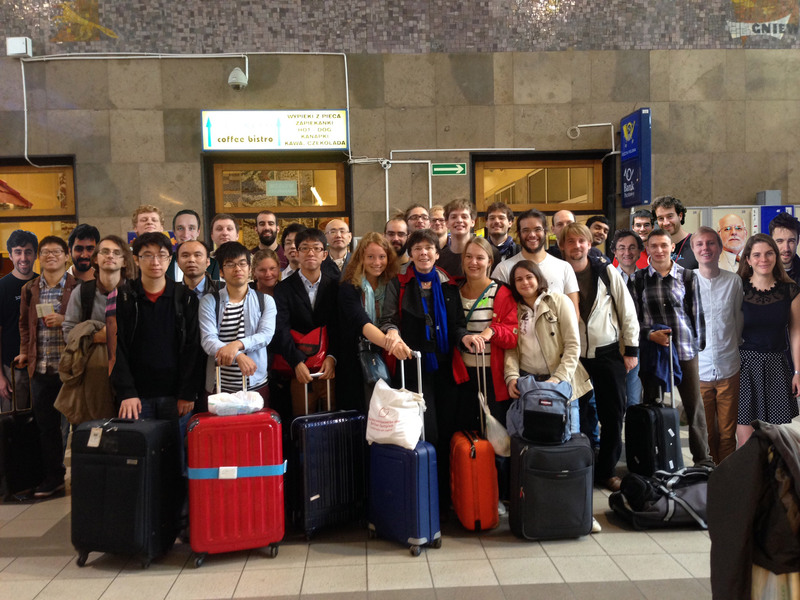 Topics in Characteristic p > 0 and p-Adic Geometry, Łukęcin, September 8-12, 2014. Photo. VBAC 2014, Berlin, September 1-5, 2014. CMI Summer School: Periods and Motives, Madrid, June 30-July 25, 2014. Escuela JAE de Matemáticas, Madrid, July 2-27, 2012. Escuela JAE de Matemáticas, Madrid, July 4-22, 2011. Arithmetic Geometry group at FU Berlin, since December 2016. Lineare Algebra und Analytische Geometrie II, Summer Semester 2014. Lineare Algebra und Analytische Geometrie I, Winter Semester 2013-14. Seminar of Intersection Theory (with Yun Hao), Winter Semester 2015-16. 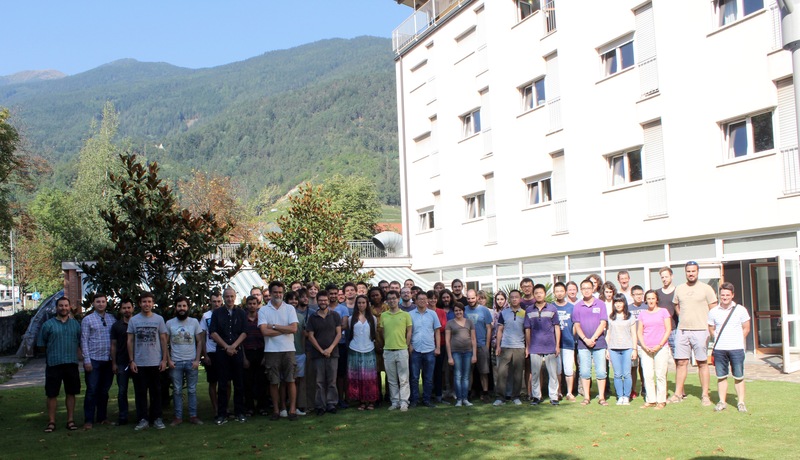 Seminar of Étale Cohomology (with Elena Lavanda), Summer Semester 2015. 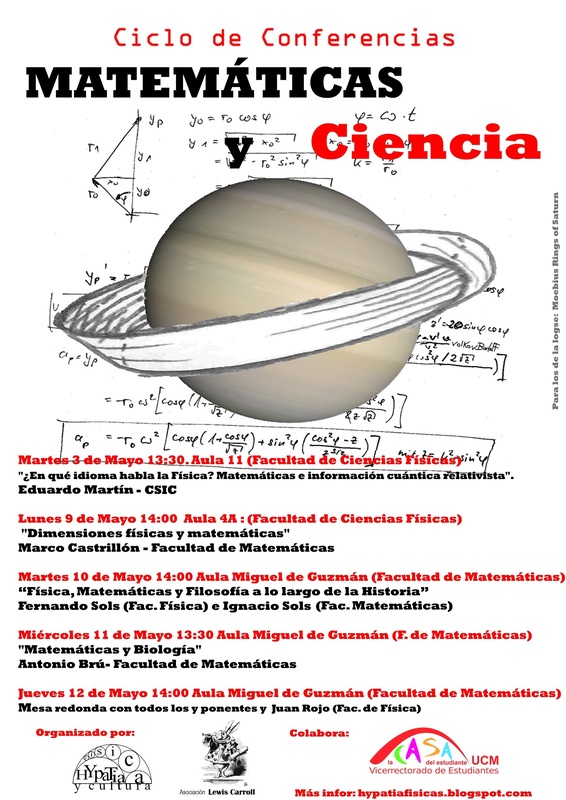 Conferences "Mathematics and science", UCM Madrid. Poster and videos. May 2011. 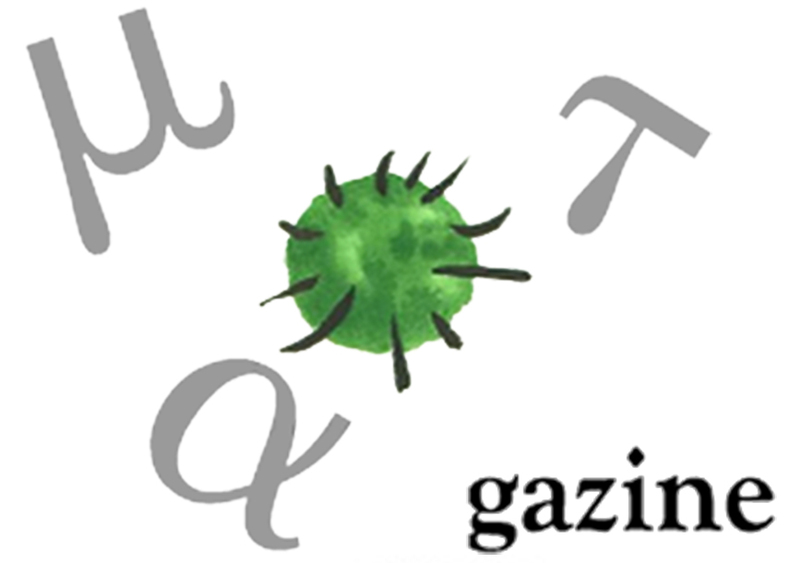 Matgazine, the mathematics magazine of the students (in Spanish). Founded in October 2010, director October 2010-June 2012. Notes On A Triangle from centexcasa on Vimeo.